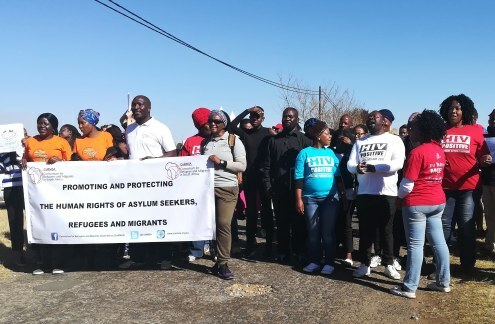 South African citizens and activists have marched in support of better treatment for immigrants and refugees and picketed outside the Desmond Tutu Refugee Reception Office in Pretoria West and the Lindela Repatriation Centre in Krugersdorp. 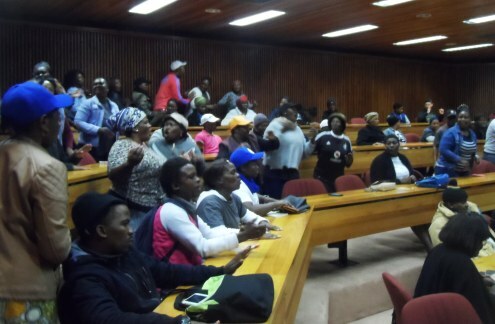 More than 60 refugee representatives also marched to Parliament in Cape Town on World Refugee Day, asking that refugees be granted legal status. 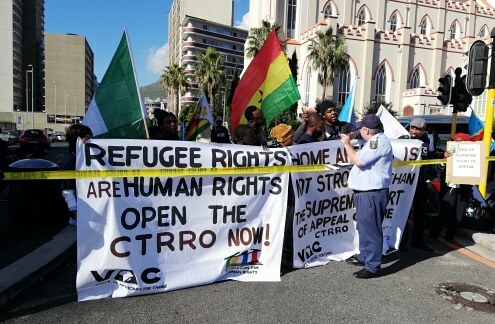 Refugees marched outside Parliament in Cape Town on International Refugee Day. Activists from multiple civil society organisations protested outside Lindela on World Refugee Day. Activists attending a workshop on World Refugee Day.